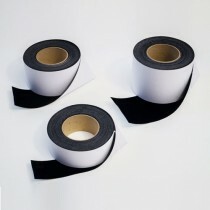 DeepBlack border tape is the icing-on-the-cake every projector screen needs! Whether it be a small home theatre system or a large conference room screen, DeepBlack is essential in bringing your experience alive. Its' high light absorption properties mean overspill and ambient light is captured, increasing the contrast ratio between the image and surroundings. The effect is a stunning pop-out image, completing any projector screen system.